Not a Chinarello, a Giant or maybe a Fuji? This open mold frame was raced at Redmond Derby by Todd Gallaher. 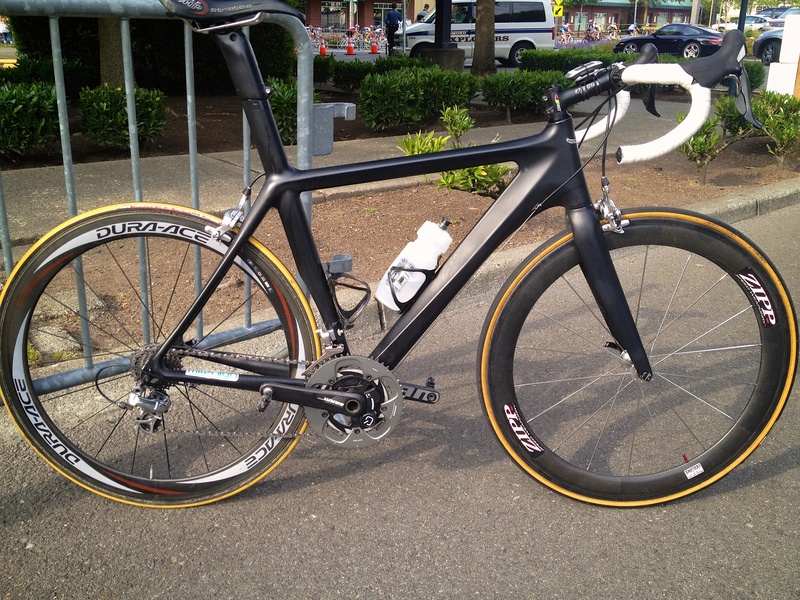 He bought it for $300.00, it resembles a Giant TCR and after the race he vowed to not ride it again. An open mold means there’s no IP attached to the design. A Chinese factory made a run of these and sells them online in various places, like a Chinarello. You can also buy the mold outright and make them yourself. Not recommended and posted as a follow-up to our earlier post on counterfeiting. Also see what Cyclingtips had to say about them last year. I’ve gotten the same emails from China and could issue a PO, slap our logo on a container of them, and promise they were the fastest ever made.